Size of this preview: 768 × 599 pixels. 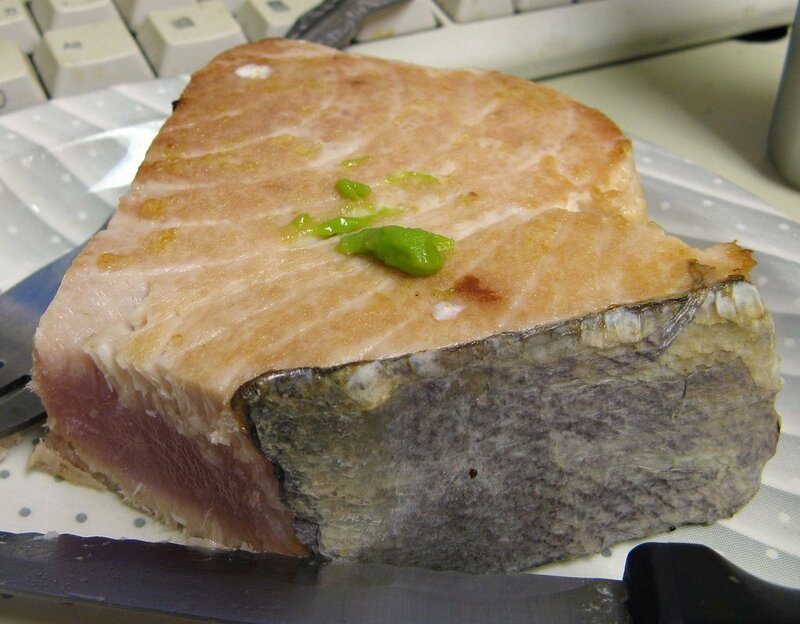 A chunk of semi-cooked Albacore from Fuji. Photographed and uploaded by user:Geographer. This page was last modified on 29 April 2007, at 19:34.